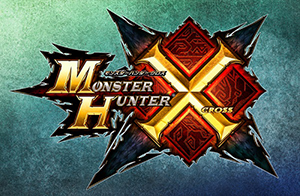 CAPCOM | "Monster Hunter X (Cross)" Breaks Three Million Units! 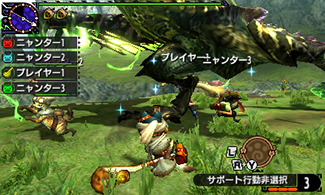 "Monster Hunter X (Cross)" Breaks Three Million Units! The "Monster Hunter" series is a hunting action game that pits players against giant monsters in a beautiful natural environment. The series has sparked a social phenomenon known as the "Monster Hunter Craze" by introducing a new kind of communication style for players through cooperative play focused on hunting monsters with their friends. Since the first "Monster Hunter" title made its debut in 2004, the series has expanded beyond games into other media, and overall has grown into a mega-hit with cumulative sales of more than 36 million units as of December 24, 2015. "Monster Hunter X (Cross)" is a new title that offers individual players greater possibilities in developing their own style of hunting. Utilizing the world and gameplay of previous entries as a starting point, the game is distinguished by its high level of freedom with new elements like Hunter Arts and Hunting Styles, which can be combined with 14 kinds of weapons to create a myriad of fresh ways to play. In addition to receiving praise for new elements, such as "Nyanter Mode" where players can take on quests as a "Felyne Palico", the title hit the three million mark within just one month of its release as a result of maintaining user interest via numerous cross-industry collaborations. Moving forward, Capcom plans to roll out a number of initiatives, beginning in January 2016 with "Monster Hunter Festa'16", an event held in five major cities across Japan, and including the Universal Studios Japan attraction "Monster Hunter the Real", all with the aim of generating interest across diverse user segments.